New at Phelps: MOTION MONDAYS! Phelps Helps’ Spark program has been running at Sunnyside Elementary since 2013. The program is offered Thursdays after school for grades 3-5 and focuses on hands-on learning through S.T.E.A.M (Science, Technology, Engineering, Arts, Math). 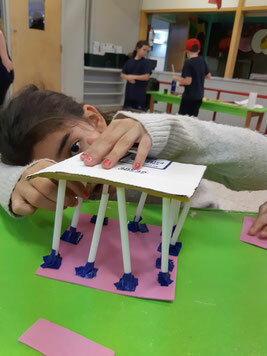 Students satisfy their natural curiosity and engage in critical thinking while completing fun team challenges such as building bridges, making slime, constructing balloon-powered cars, creating comic strips and more! For the month of February, Phelps Helps will offer an opportunity for grades one and two students to take part in a special series of our Spark program. MOTION MONDAYS will be offered to all cycle one students at Sunnyside Elementary during lunch hour. These four special activities will be hosted by our Executive Director, Katie Lowry, and other members of the Phelps Helps team. Motion Mondays will provide participants with a chance to learn through play in the gym, discover new snacks and enjoy a story while eating lunch. Parents interested in registering their children in this one-month offering can fill out the permission slip provided by their teacher this week. This opportunity is yet another example of how Phelps and Sunnyside Elementary are collaborating to offer the best possible learning environment for children in the Stanstead community. If you are a community member interested in volunteering for this, or one of our other weekly programs, contact our volunteer coordinator by emailing ccorman@phelpshelps.ca or calling 819-704-0799.